How many times have you seen Mary Poppins? How many times have you watched Mary Poppins? This week? 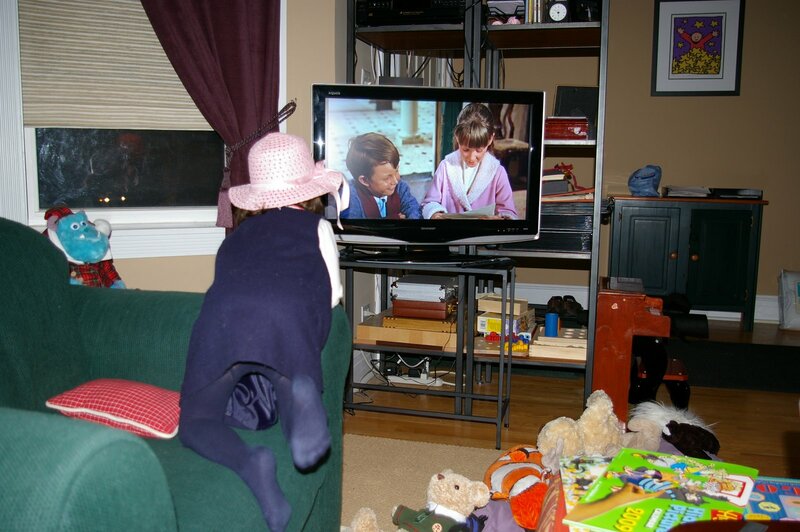 Charlotte is currently obsessed with Mary Poppins. Last week she watched it on 4 times in 2 days—we had borrowed by brother’s Explorer in New Jersey and was nicely outfitted with a built-in DVD player. Charlotte watched the movie on the way in to New York City, on the way out, and then the next day on the way to and from Long Island. Today she finally started singing songs from the movie: “Just a spoonful of sugar helps the medicine do gown, the medicine do gown.” No, those are not typos. That’s how she sings it! Funny thing is, as crazy as she is about her stuffed Nemo and Dory, she won’t watch an entire animated film. I can’t get her interested to save my life! But, Mary Poppins is the best. So…I brought Sound of Music home from school today. It’s nearly 3 hours long, so I don’t think I’ll get her to watch the whole thing. But, I’m willing to try! Categories: Mary Poppins, movies | Permalink.